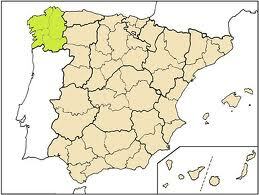 The beautiful autonomous region of Galicia is situated on the North West coast of Spain, just above Portugal. Galicia’s scenery and culture is significantly different and much more diverse than many of Spain’s better known southern provinces such as Andalucia. Galicia has a warm but temperate climate and a lush green landscape with several mountain ranges, rivers and a large number of stunning and often near unspoilt beaches. The magnificent beaches on the Cies Islands are regarded as being some of the best in the world! Galicia’s has 3 international airports which are located in la Coruña, Santiago de Compostela and Vigo which means getting to Galicia has never been easier. 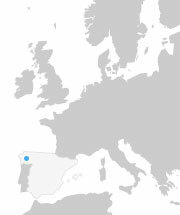 All three of the airports in Galicia are conveniently located close to many of Galicia’s tourist resorts. The airports in Galicia are clean, modern and less busy than other tourist destinations in Spain with good passenger facilities such as car hire, car parking, public transport and taxi services. Santiago de Compostela airport is situated just 10 km from the city centre of Santiago de Compostela with regular flights from Air Europa, Air-Berlin, Iberia, Ryanair, Spanair , Click Air and Vueling. La Coruña airport is situated just 8 km from the city centre of La Coruña with regular scheduled services from Portugalia, Easyjet, Iberia, Vueling and Spanair. Vigo airport is situated just 9 km from the city centre of Vigo with flights from Air France, Air Europa, Iberia, Spanair, Click Air, Air Nostrum, Vueling and Flysur. In addition , Portugal´s Porto airport (Francisco Sa Caneiro – T: +351 229 432 400) which is situated just 9.5 Km from Porto city centre, is only an hour and half drive away from the Galician border so it is possible to travel via to Galicia via Porto especially if you are planning on visiting the southern part of Galicia including the Rias Bajas. TAP operates regular flights to most major European destinations as well as Easy Jet and Ryan Air.